The International Journal of Inclusive Development(IJID) make it mandatory all the articles have undergone a rigorous peer review process after the initial screening by the editorial board. On the peer review process, the article is sent to two referees having research experience on the submitted article by authors. Authors have to make necessary modification as per reviewer comments. 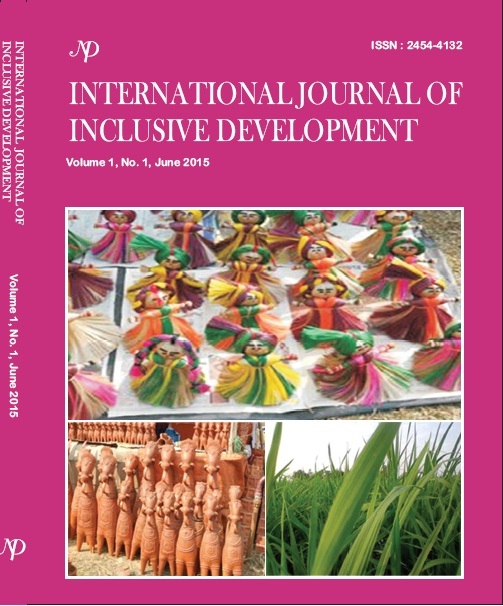 The articles published in the International Journal of Inclusive Development(IJID) are open access with the principle that knowledge must be share for holistic development. All the issues published in the International Journal of Inclusive Development are archived and the process is on way for getting DOI No. The International Journal of Inclusive Development encourages authors to follow publication ethics(https://publicationethics.org/).